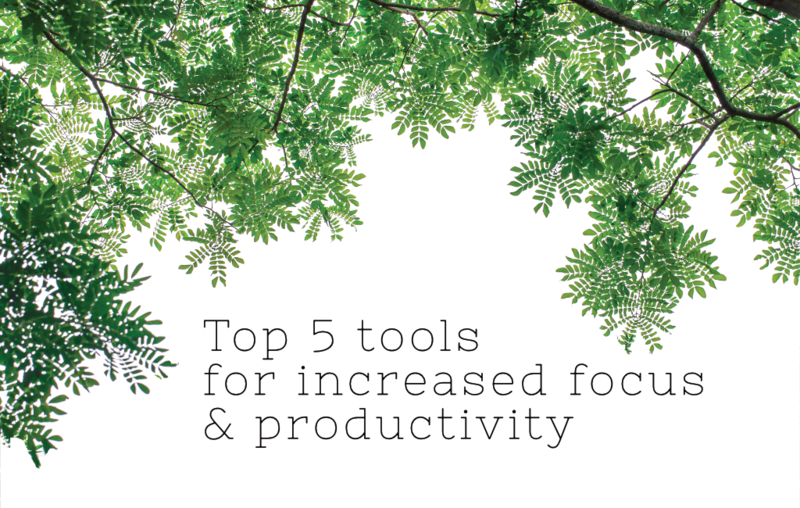 As a freelancer I need to be as efficient as possible for my clients – and today I’m sharing my top 5 tool for increased focus and productivity with you! When taking on a project, it’s easy to underestimate how easily we drown ourselves under every task. Procrastination, disorganization, overwhelm… you name it. We start full of good intentions. We pick an activity off our never-ending list of tasks and we get going. Soon enough, one thing leads to another and we’re no farther than we were 3 hours ago. I’m constantly on the hunt for new ways to curb procrastination and disorganization. The truth is that however motivated you are, if your environment is not conducive to focus & productivity, you’ll find yourself distracted. So here are 5 tools which are part of my go-to setup to deliver results faster, and consistently. Disclaimer – I use Apple products! A few of the recommendations below are geared towards Apple users. Also, these are genuine recommendations of tools I use myself and I’m not sponsored to recommend them. First of all, I use Chrome as my main browser – the reason is speed and also the fact that with this browser I can connect my settings to my Google account and sync these settings, including all my preferences, across devices. I use Firefox & Safari as well, and regularly test websites on Internet Explorer. Out of all of these, Chrome has proven the most reliable & most practical. Another perk, with Chrome I never have any issues with high traffic websites where you need to be quick to get tickets for example. All in all, the less time spent on browser issues, the better. Do you ever build up a ridiculous list of tabs on your window? That is one sure-fire way to lose your focus, and become unproductive. Sure, there are ways to self-manage this but when you are busy, tabs tend to creep up on you. Instead, I use the Toby Chrome extension to save lists of tabs as sessions or as actual lists I create manually. All I then need to do is to save my current tabs as a list and open only the ones I need to focus on right now. I sincerely, highly recommend this if you struggle with too many tabs. 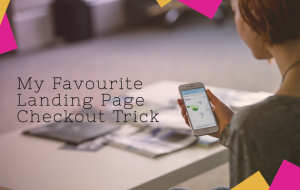 This way you won’t need to find that page again among an infinite list, or have to have multiple windows crowding your space. Airmail is my preferred email client, again because of functionality. First, it has this great viewing feature which enables me to show only a minimised, very clean view on the side of my widescreen, like below. I love using Airmail also because I can fully and visually categorise my emails with it. For someone like me who looks after multiple inboxes, this enables me to quickly and efficiently get an idea of my inbox with a simple glance. I can also create a list of tasks “To do” within Airmail by flagging emails. This is similar to Outlook’s flags system, except the user experience here is a completely different game. There are many other features within Airmail: one of my favourites is to set VIP contacts (my clients obviously!) and identify their emails quicker. The best part, however, is the support. When I had to adjust some custom settings and didn’t know how to, I was able to contact them directly within the app on my phone and received a response in under 2 hours. This one applies to everything you could write, ever, anywhere. I cannot recommend it enough to increase focus and productivity as it will free your mind up. The free version of this app & browser plugin (comes in various ways) will not allow you to make regrettable typos or grammatical mistakes. This enables you to focus on what you are actually doing and do it faster. The single best writing tool I’ve ever found to help with style (not just grammar). This tool gives you a clean & focused writing space while guiding you to improve the quality of your writing style. I use it to write better, easier to read blog posts, and long text form content. You can save your text as a PDF with your highlights, so colleagues can see which parts need further work / have been revised. These are my 5 basic tools, saving me time every single day and I cannot recommend them enough. Of course, there are flashier, infinite numbers of other tools & extensions and if you know me you’ll know that I try them all, but if you’re just looking to clean up your workspace then this is it. What are your favourites? What do you use? I love recommendations!